That massive move of airlines at Los Angeles International is just a few weeks away, but a few changes have already started – and the airport authority has put out a new chart of who’s going where. 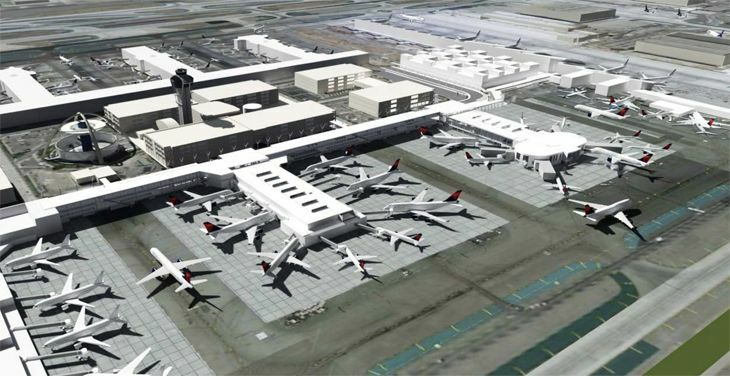 As we reported earlier, the relocations are all a result of Delta’s big plans to shift its LAX operations from Terminals 5 and 6 to Terminals 2 and 3, displacing a lot of other tenants. The changes will affect a total of 28 airlines. Most of the moves will take place in the overnight hours of May 12, 14 and 16. But a few have already happened. China’s Hainan Airlines has just moved from T2 to the Tom Bradley International Terminal (TBIT). 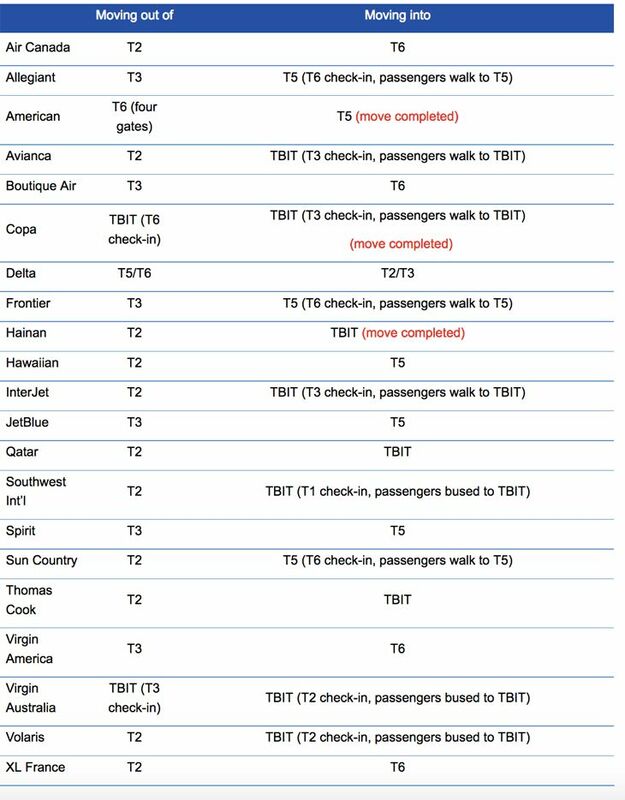 Copa’s flights still leave from the TBIT, but check-in for flights moved last week from T6 to T3. And American in January dropped four gates in T6 and picked up four in T5. Later this month, Qatar Airways is slated to move from T2 to the Bradley Terminal. When the major moves begin next month, Delta will be operating flights on some days from four terminals (2, 3, 5 and 6). 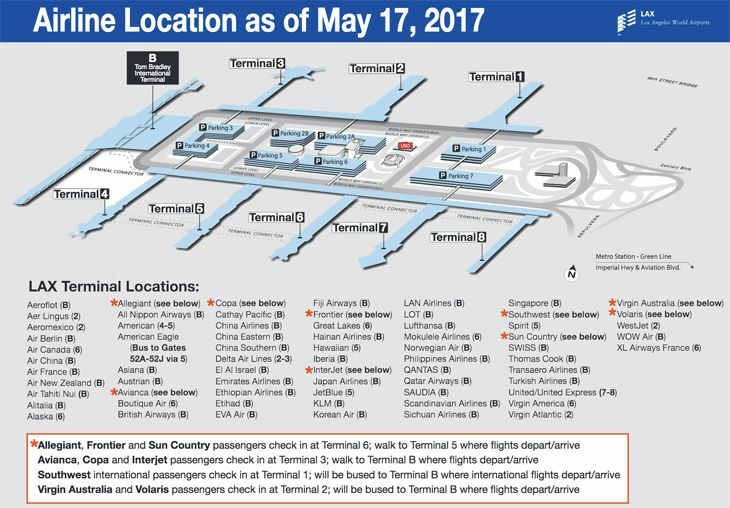 Here’s a chart from the airports authority of who’s moving where, followed by a map of how the terminals will shake out when it’s all finished.